COMMENTS: Waterman 52V fountain pen in Olive Ripple hard rubber and gold trim. The Olive Ripple is one of the hardest colors to find in the ripple series (blue, rose, olive, and red). Fitted with a 14k Waterman Ideal #2 wet noodle nib that writes a medium to double broad line. Professionally adjusted nib, ultra smooth, and capable of writing at any speed when not flexed. 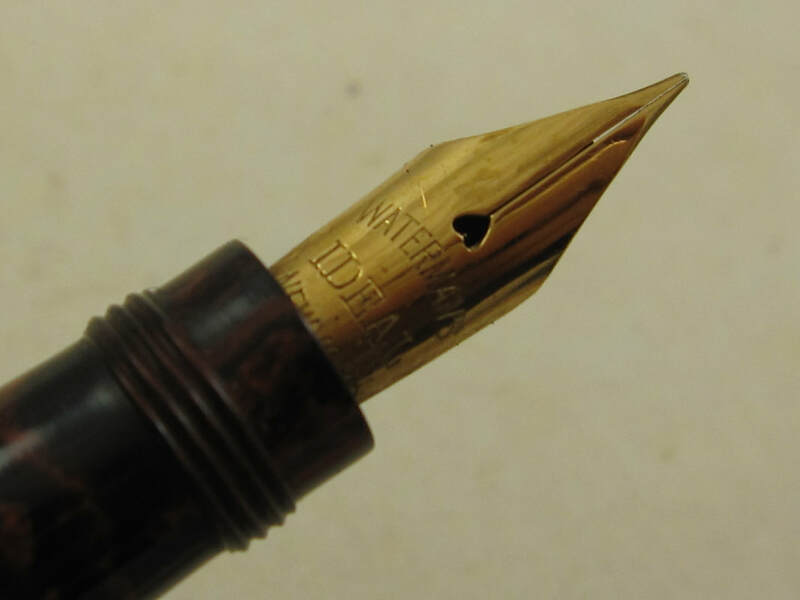 Iridium tipping is very rounded, making it an ideal nib to someone new to flexible nibs, someone who writes very fast most of the time or to an over writer as this is a very friendly user and forgiving nib. Great olive ripple colors with the vibrant tones and rippled effects. Perfect barrel imprints. Correct olive hard rubber feed. Gold trim is also in great condition. Pen measures 4 3/8" long (capped), and 5 3/4" long (posted). 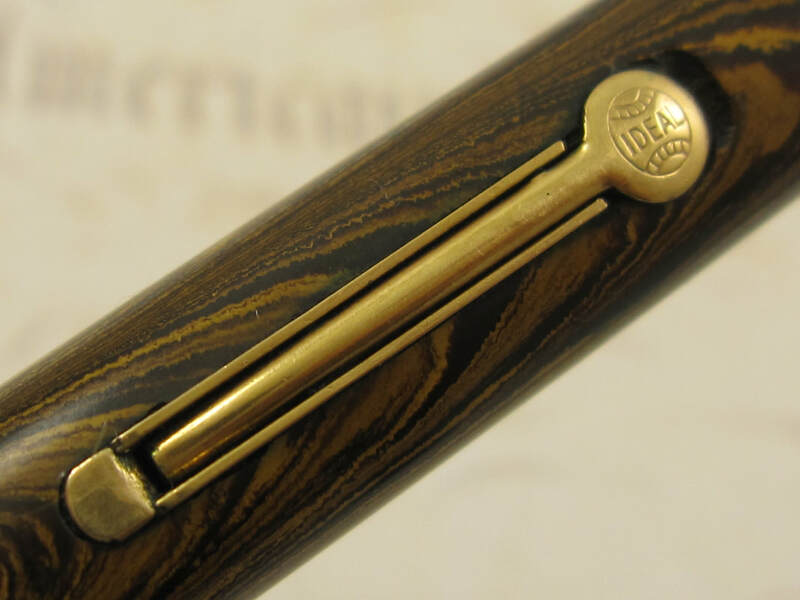 This pen was designed and manufactured to be used as a posted pen, becoming a full sized pen when posted, and offering perfect balance on the hand. Lever filler. New sac. Made in USA in the 1920s. COMMENTS: Waterman 12 1/2 safety pen in Woodgrain hard rubber. 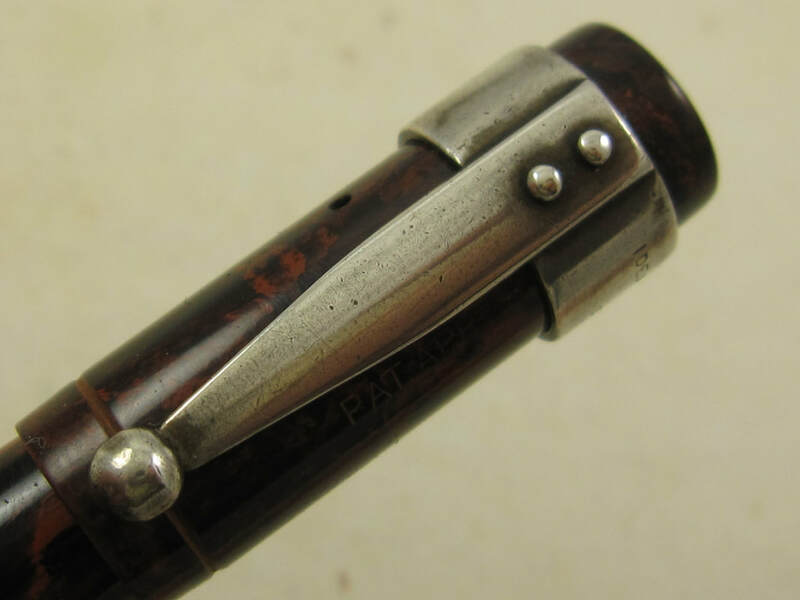 Accommodation clip in nickel and it was manufactured by Waterman in Paris, France. 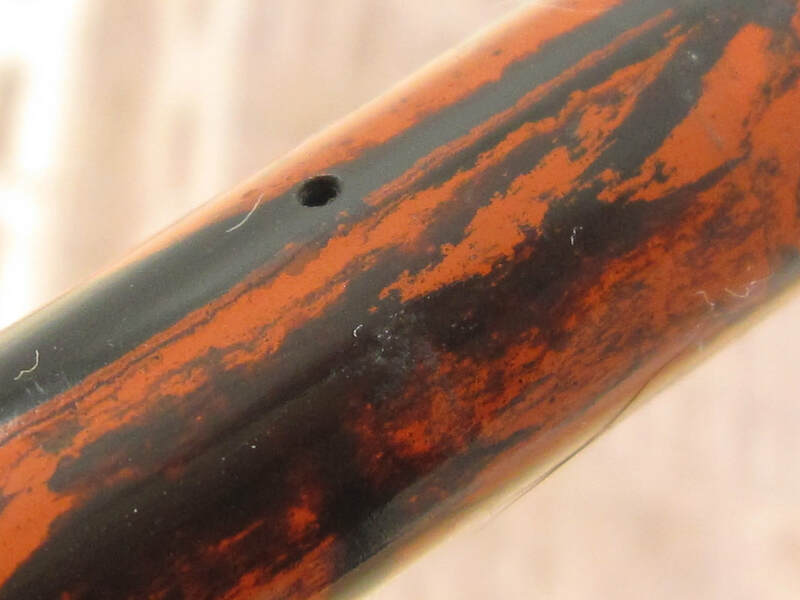 This pen is in near mint condition and it looks like it has seldom been used in its lifetime. Pens like this are extremely hard to find nowadays. 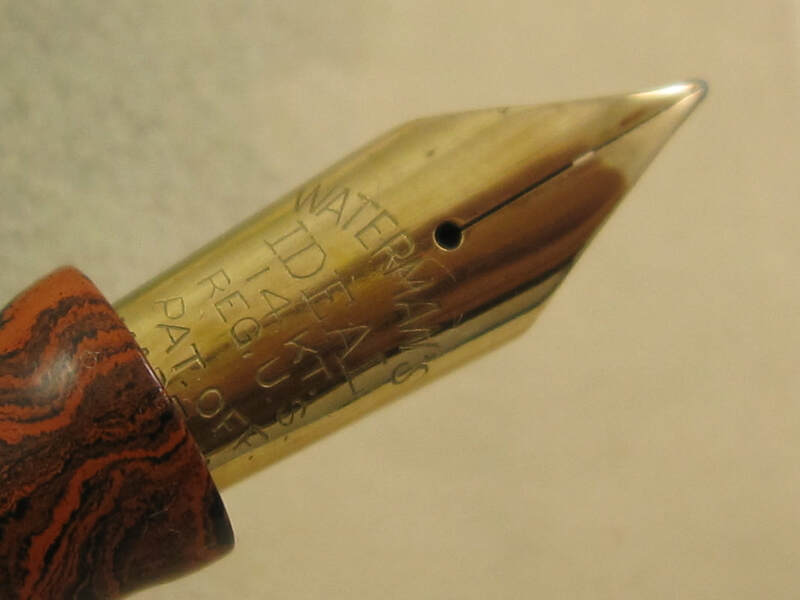 Fitted with a 14k Waterman Ideal New York #2 wet noodle nib that writes a broad to triple broad line. Smooth nib, capable of writing at any speed when the nib is not flexed. 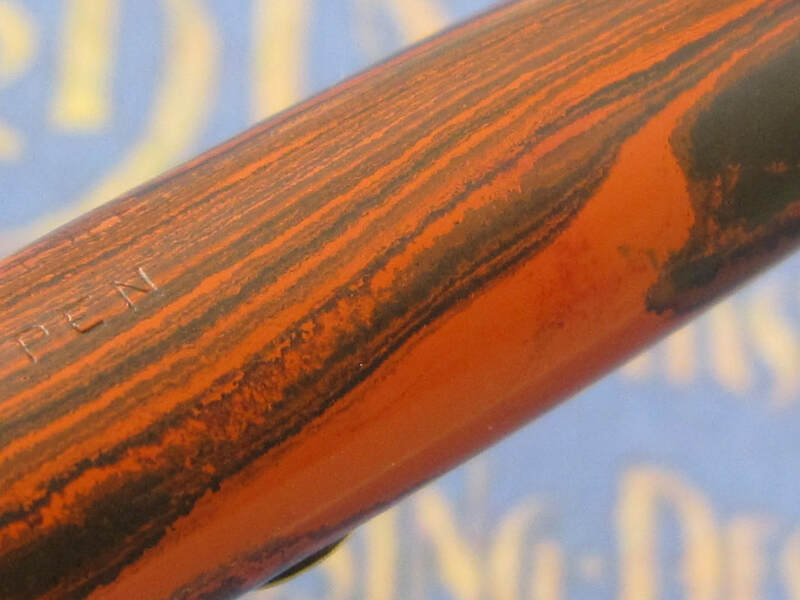 Very vibrant and glossy Woodgrain colors with lots of luster on the exterior of the pen. Mild barrel imprints. Safety filler with a knob at the end of the barrel that protracts and retracts the nib out of the barrel. Serviced. Pen box is included with the pen. 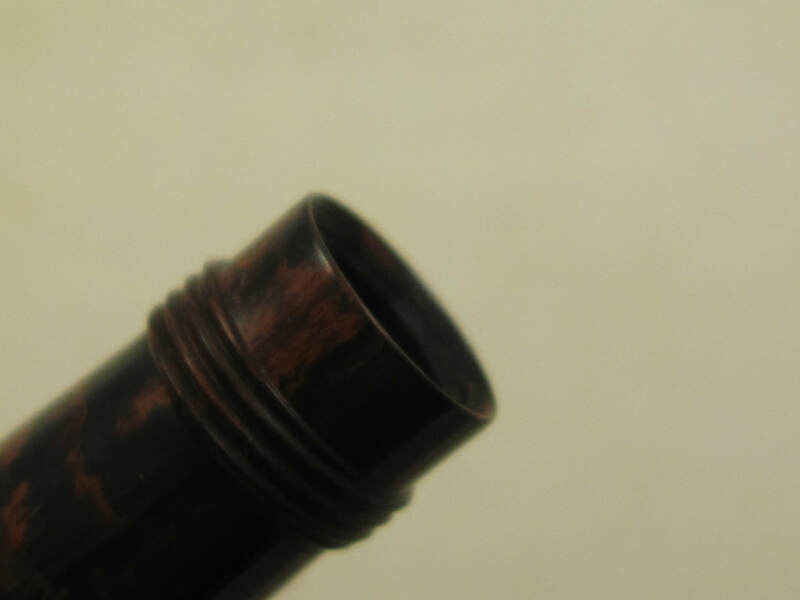 It is the one of the oldest styles of vintage Waterman pen boxes. Made out of dark blue material, has the old fashioned latch, and velvet color satin fabric inside, and it is in excellent condition. 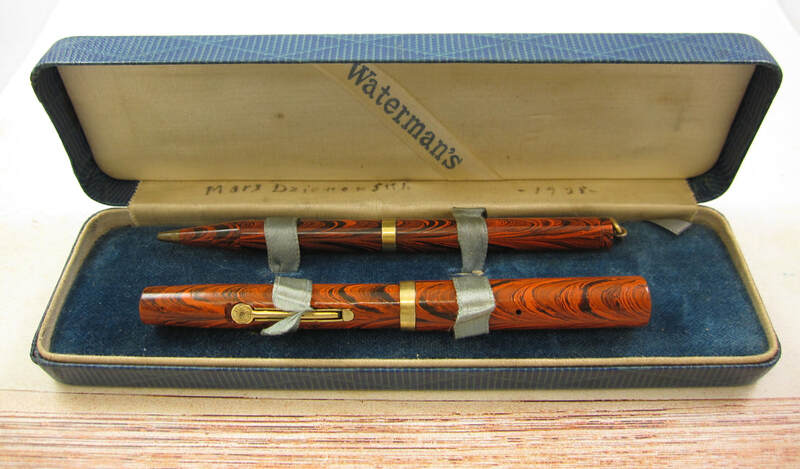 Nowadays, original vintage Waterman pen boxes like this are selling for up to $250 each, just for the pen box. Original eyedropper device included as well, which is quite a collectible piece. Made in USA circa 1930. 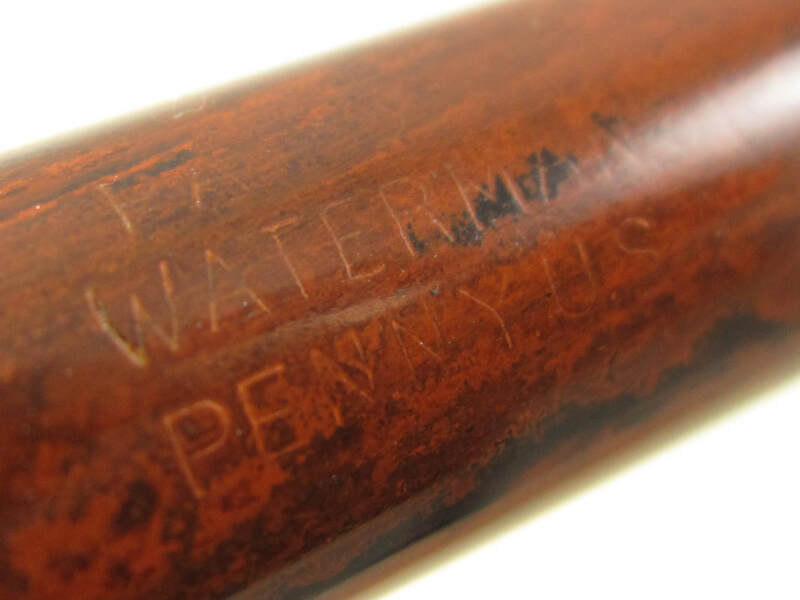 COMMENTS: A very early and rare vintage Waterman 14 eyedropper pen in Wood Grain hard rubber. 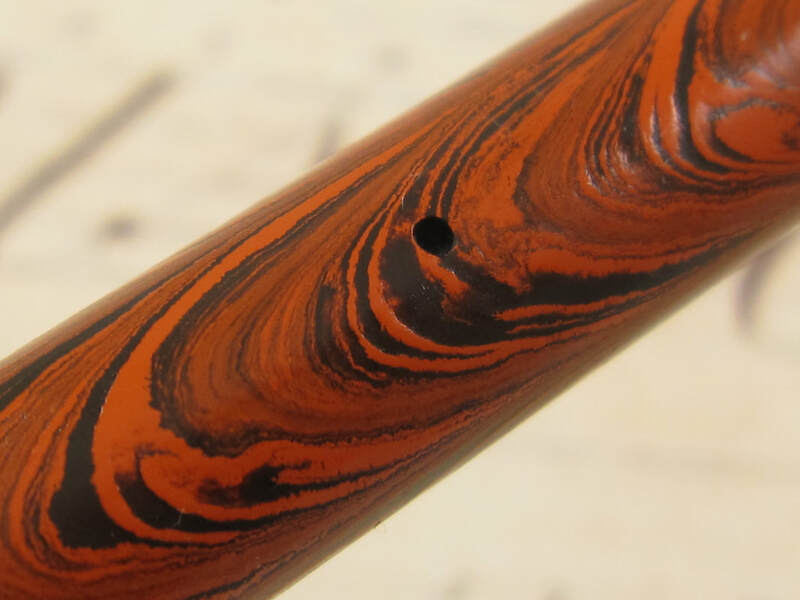 Absolutely gorgeous color pattern, resembling mahogany wood colors. Clipped and slip-on cap. Threaded section. The 14 model comes with a larger #4 nibs. Fitted with its correct Waterman Ideal New York #4 wet noodle broad stub nib. Professionally adjusted nib ultra smooth and capable of writing at any speed when not flexed. 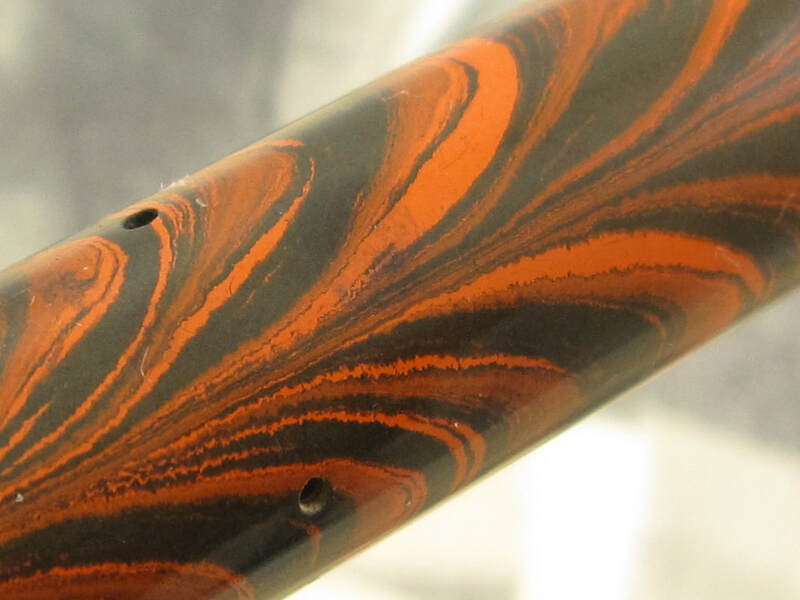 The Wood Grain color is in awesome condition and with very vibrant colors. Minor tarnish on the clip. Mild barrel imprints. Eyedropper filler. Serviced. Made in USA circa 1910. 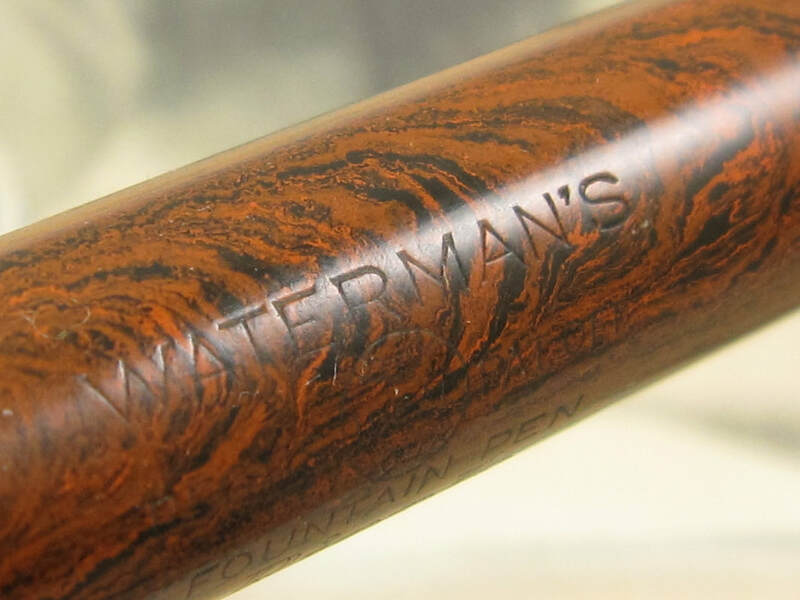 COMMENTS: Waterman 12 eyedropper in Red Mottled hard rubber. Clipless cap (from the factory). Fitted with a 14k Waterman Ideal New York #2 wet noodle BB stub nib. Professionally adjusted nib, ultra smooth, and capable of writing at any speed when not flexed. When not flexed, this nib writes double broad lines in the down strokes and a fine line in the side strokes. When flexed, this nib writes triple broad lines in the down strokes and fine lines in the side lines. Nib with the very long and slim tines. 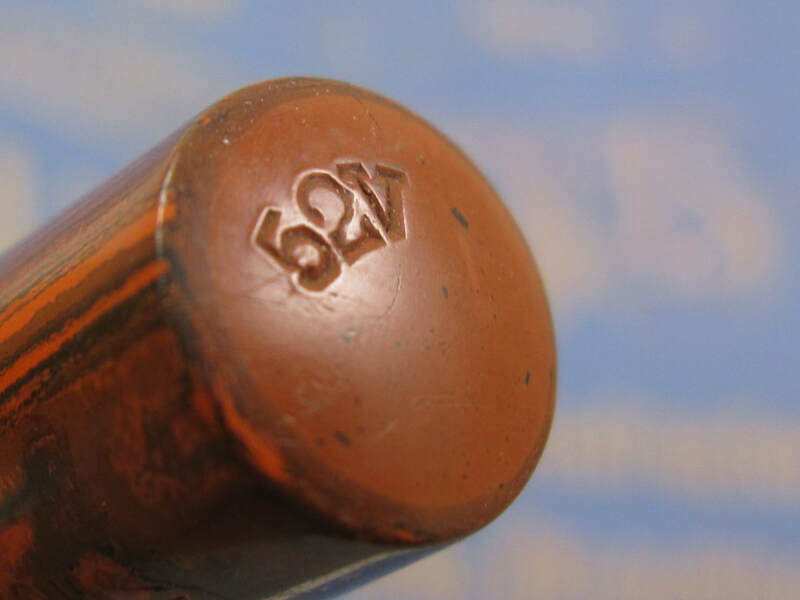 In my flexibility scale from zero to 100, this nib is graded at 95, making it an ultra rare and a very valuable flex nib. This is an extremely clean sample of an iconic pen model. It is in near mint condition and it looks like it has used sparingly. Great exterior condition. 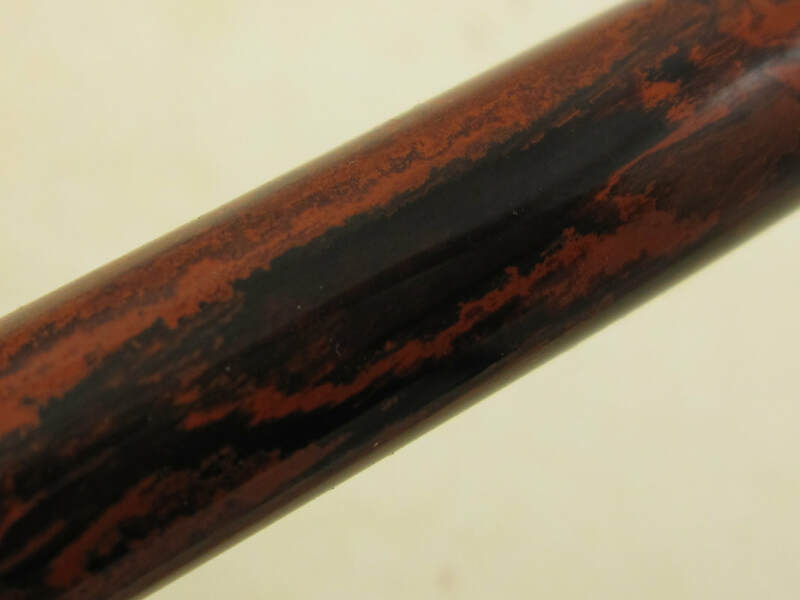 Red mottled has very vibrant colors and a very glossy finish. Great barrel imprints. 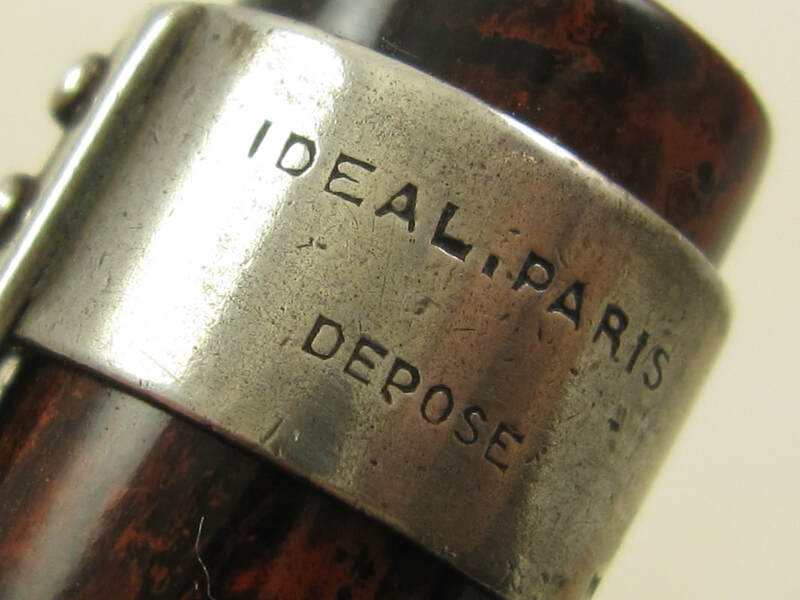 Very hard to find pens that are close to 100 years in age in this great condition. Eyedropper filler. Serviced. Made in USA circa 1910. 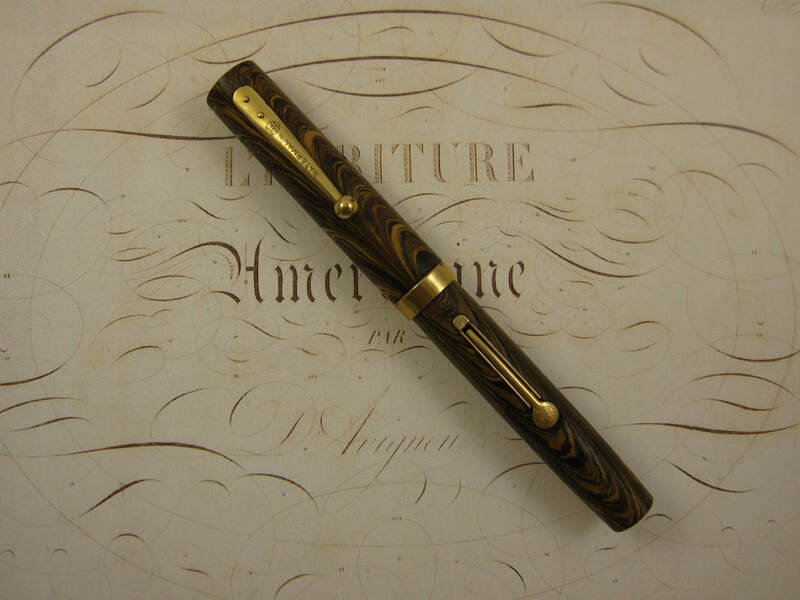 COMMENTS: Waterman 54 fountain pen set in Woodgrain hard rubber and gold trim. Clipped cap. 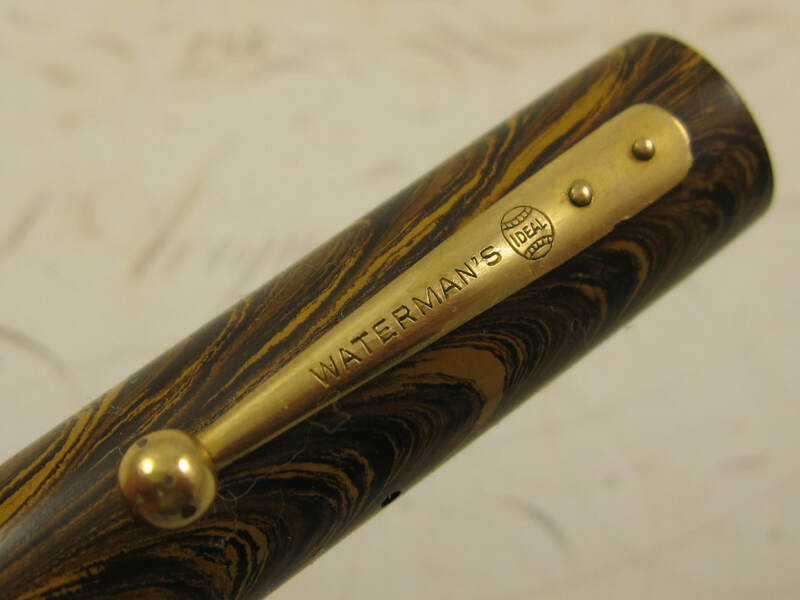 Fitted with a 14k Waterman Ideal medium flex that writes a fine to double broad line. Professionally adjusted nib, ultra smooth and also capable of writing at any speed when not flexed. Woodgrain color exterior is in near mint condition, as if it just rolled off the assembly line. Very vibrant colors. Perfect barrel imprints. Clean gold trim. Lever filler pen. New sac. Fully serviced. Made in USA in the 1920s. COMMENTS: Waterman 55V fountain pen in Red Ripple hard rubber and gold trim. 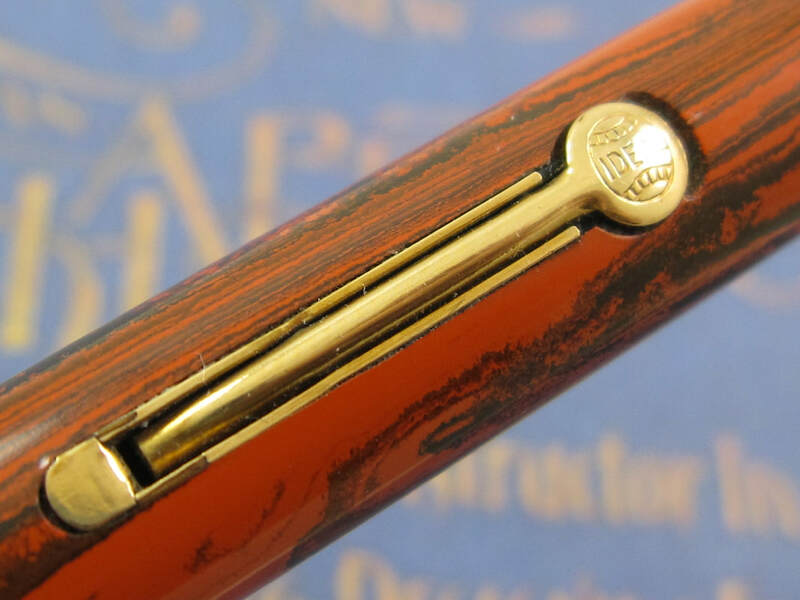 This is a very uncommon model as very few of these shorter version of the Waterman 55 pens were produced. 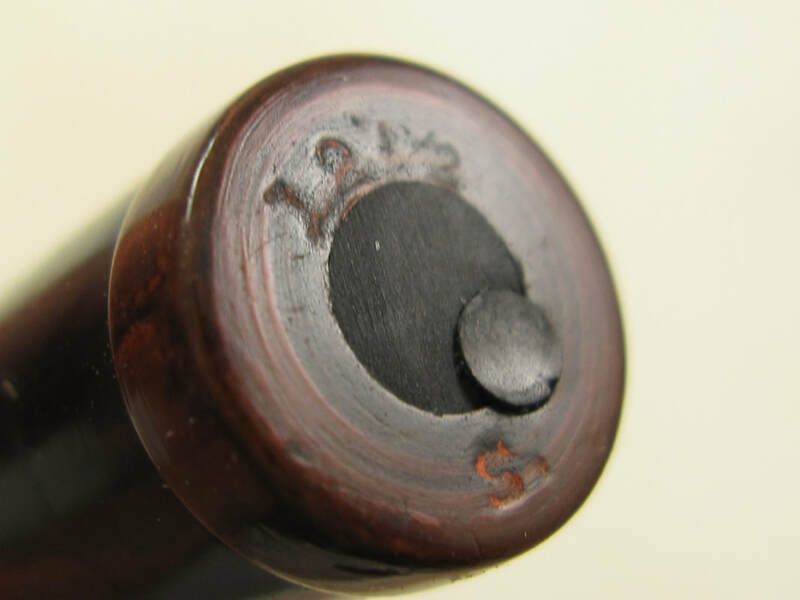 This pen is a full sized pen, measuring almost 5" long (capped) and 6 1/2" long (posted), but also an oversized pen for vintage standards when posted or in terms of girth (diameter), using a large nib. 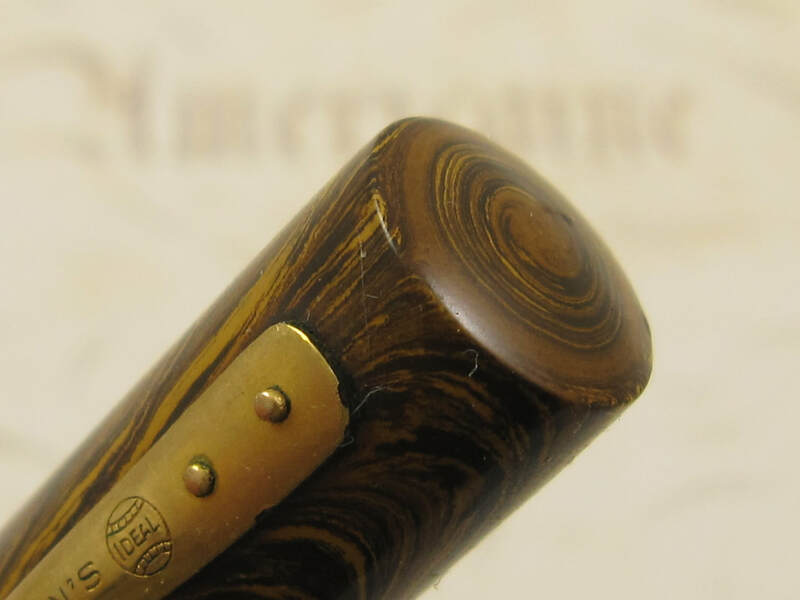 Fitted with a 14k Waterman Ideal #5 medium flex nib that writes a fine to double broad line. Professionally adjusted nib, ultra smooth, and capable of writing at any speed when not flexed. The red rippple color is in fantastic condition. Great barrel imprints. 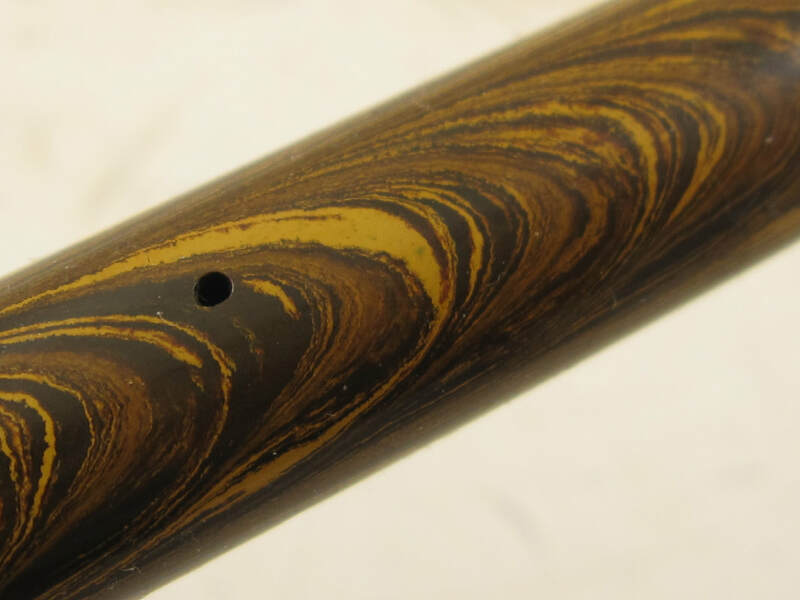 No model code available on the flat end of the barrel. 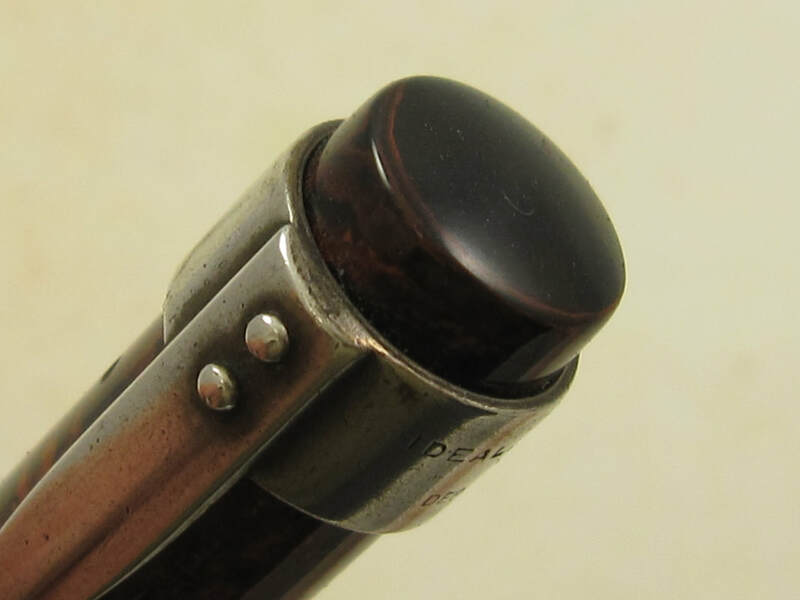 Nickel lever box appears to be the incorrect one as it does not have the Waterman globe on it. At the moment, the pen is missing its clip. I have a correct one and plan to have it installed by May 1. Will update the picture of the pen by then to show the correct clip being installed into it. Will only be able to ship this pen after the clip is installed. Lever filler mechanism. New sac. Made in USA in the 1920's. 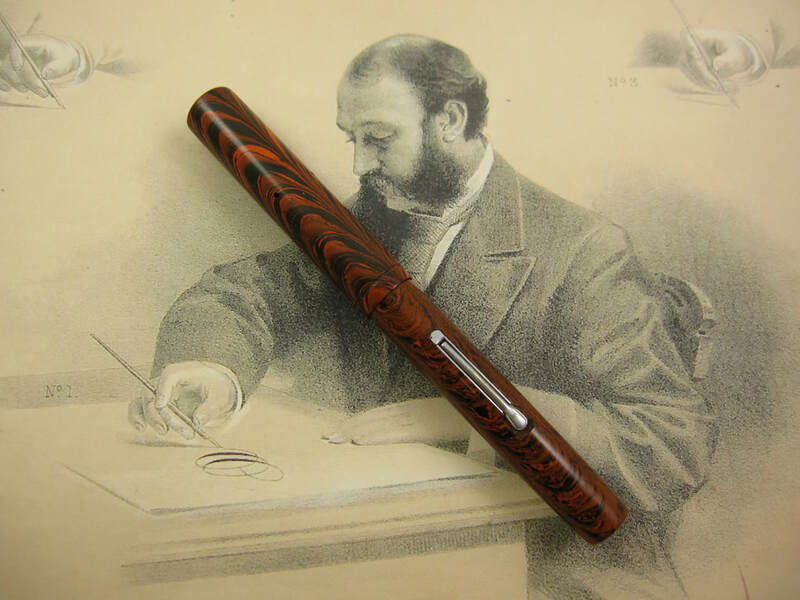 COMMENTS: Waterman 52 1/2V ring-top fountain pen set in Red Ripple hard rubber and gold trim. Pen set is comprised of fountain pen, mechanical pencil, and presentation box. Fitted with a Canadian 14k Waterman Ideal #2 superflex nib that writes a medium to double broad line. Professionally adjusted nib, ultra smooth, capable of writing at any speed when not flexed. 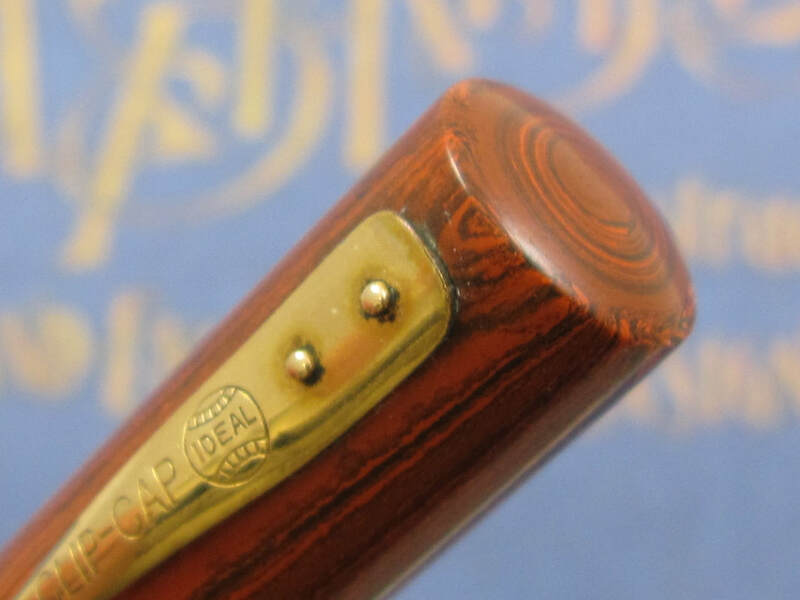 Iridium tipping has a very rounded shape, making it an ideal nib to someone new to flex nibs, to someone who writes very fast most of the time, and to an over writer as it is a very user friendly and forgiving nib. 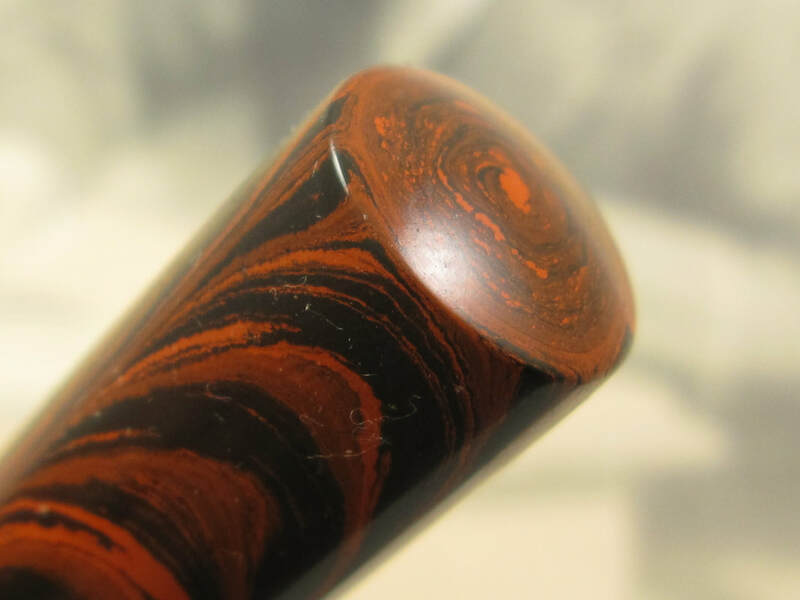 Very vibrant red ripple colors. 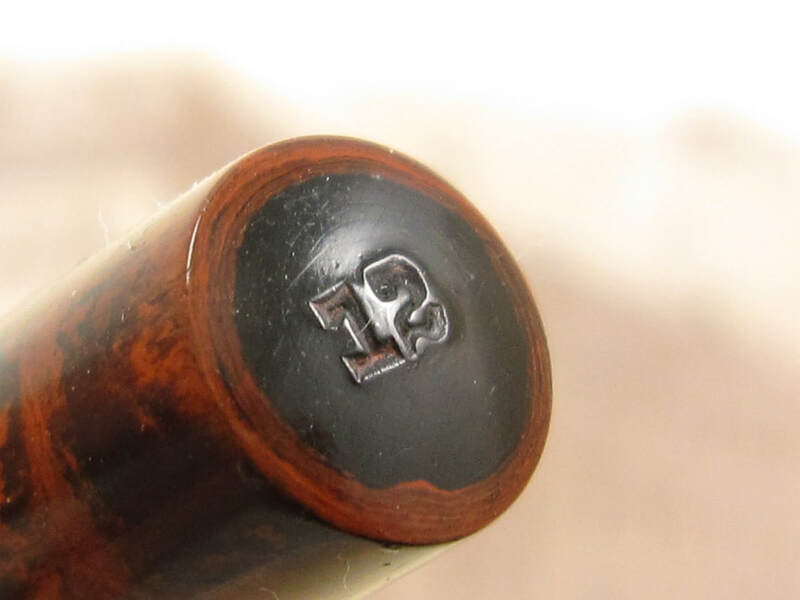 Faint barrel imprints. 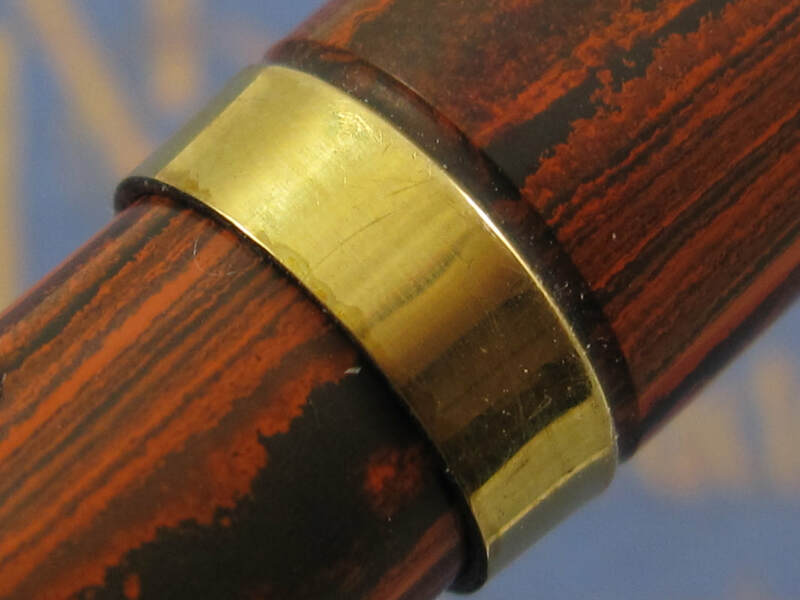 With the exception of the lever box that shows signs of stress, gold trim is in clean condition. Pen measures 4 1/4" long (capped), and 5 3/4" long (posted). This pen was designed and manufactured to be used as a posted pen, becoming a full sized pen when posted, and offering perfect balance on the hand. Lever filler. Mechanical pencil uses the twist mechanism and is fully operational. Presentation box is made out of blue leather, has a "The Treasure Chest of Today" imprint on the top, and has blue velour fabric inside. 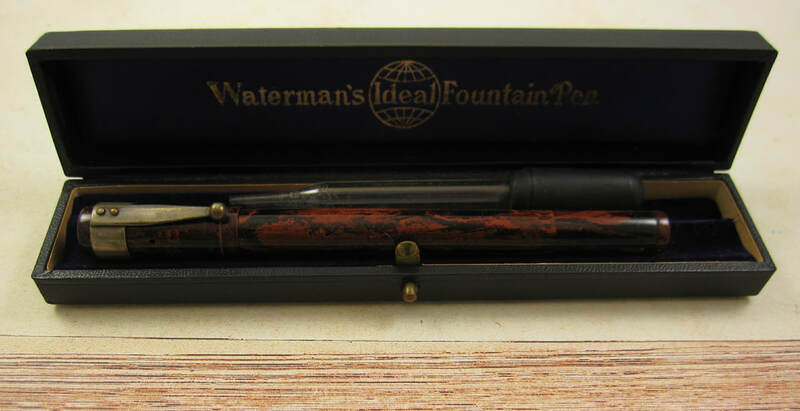 In fairly good condition, and a valuable vintage Waterman pen box. New sac. Made in USA in the 1920s. COMMENTS: Waterman 52V fountain pen in red ripple hard rubber and gold trim. Military clip version. Fitted with a Waterman Ideal #2 wet noodle nib that writes a fine to triple broad line (border line with a triple broad line). Professionally adjusted nib, ultra smooth and capable of writing at any speed when not flexed. Exterior color is excellent and with very vibrant red ripple colors. Perfect barrel imprints. Trim is very clean as well. Being very conservative by not grading this pen as in near mint condition. Pen measures 4 3/8" long (capped), and 5 3/4" long (posted). This pen was designed and manufactured to be used as a posted pen, becoming a full sized pen when posted, and offering perfect balance on the hand. Lever filler. New sac. Made in USA in 1920s. 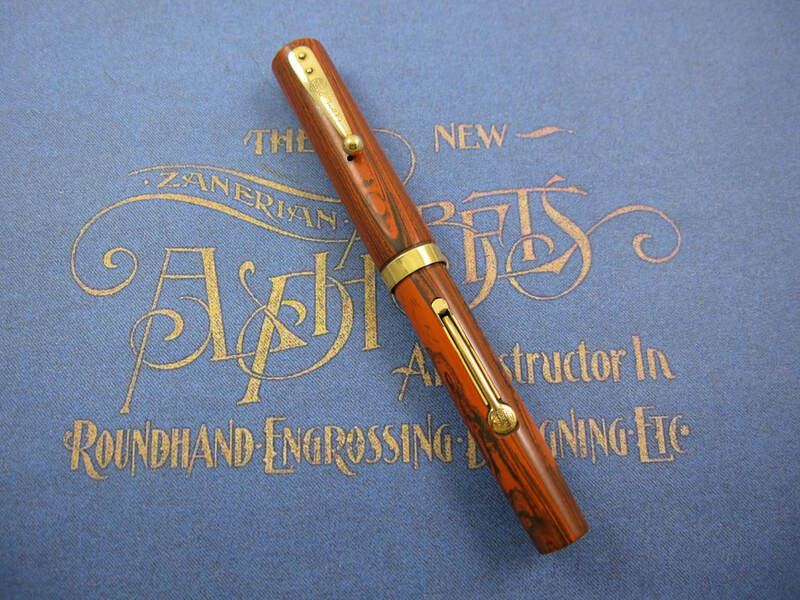 COMMENTS: Waterman 54V ring-top pen in red ripple hard rubber and gold trim. Gold band on the cap lip. Fitted with a 14K Waterman Ideal #4 wet noodle nib that writes a medium/broad to double broad line. Professionally adjusted nib, ultra smooth and capable of writing at any speed when not flexed. 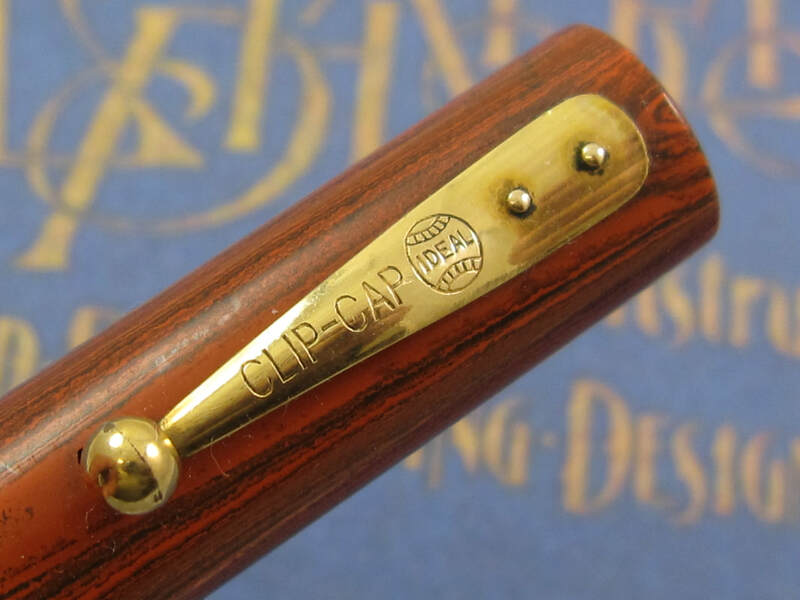 This nib has a very rounded shaped iridium tipping, making it an ideal nib to an over writer, to someone who writes fast most of the time or to someone new to flexible nibs. 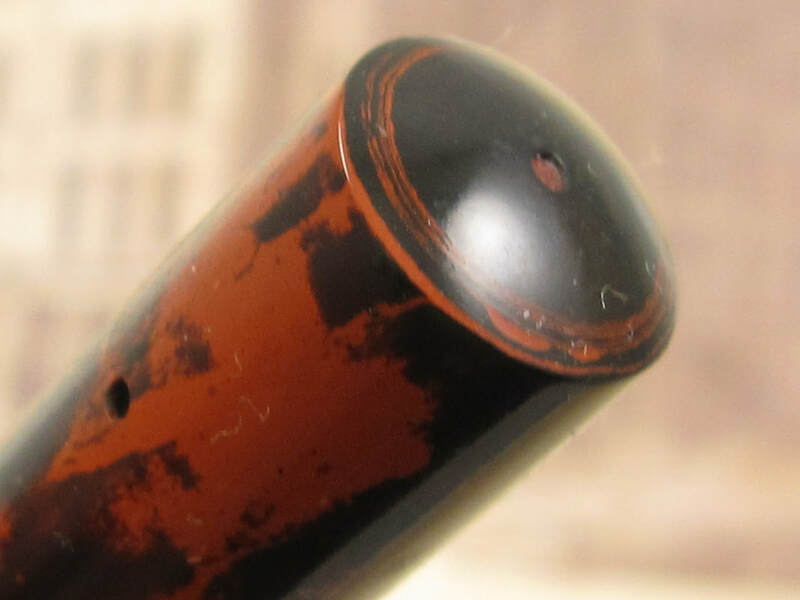 The red ripple exterior colors are in very good condition despite the fact the cap is slightly darker than the barrel. Gold trim has very minor brassing and light tarnish. They are very vibrant and glossy. Great barrel imprints. Lever filler. New sac. Fully serviced. Made in USA in the 1920s. 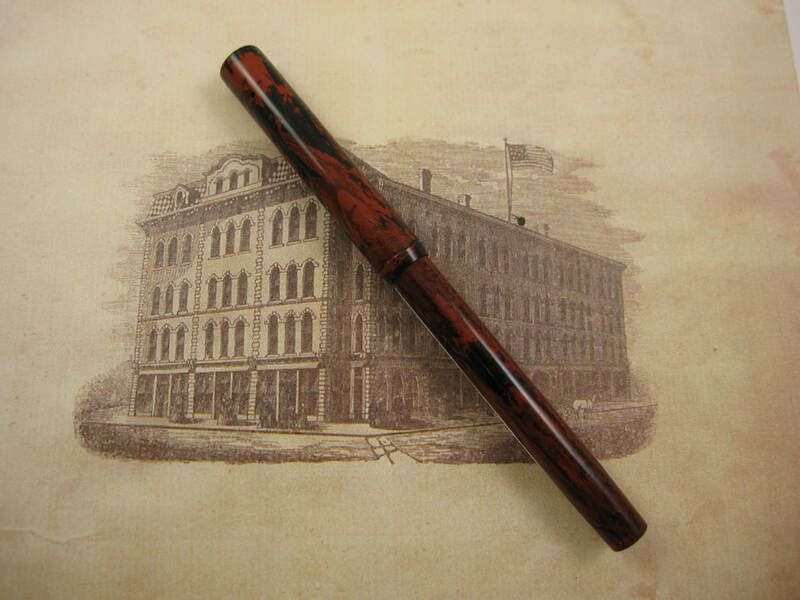 COMMENTS: Waterman 52 1/2V ring-top fountain pen set in Red Ripple hard rubber and gold trim. Pen set is comprised of the fountain pen and mechanical pencil. Fitted with a Waterman Ideal #2 wet noodle nib that writes a fine to triple broad line. Professionally adjusted nib, very smooth, and capable of writing at any speed when not flexed. Exterior has gorgeous red ripple with vibrant colors. Great barrel imprints. Gold trim is in awesome condiiton as well. Pen measures 4 1/4" long (capped) and 5 3/4" long (posted). 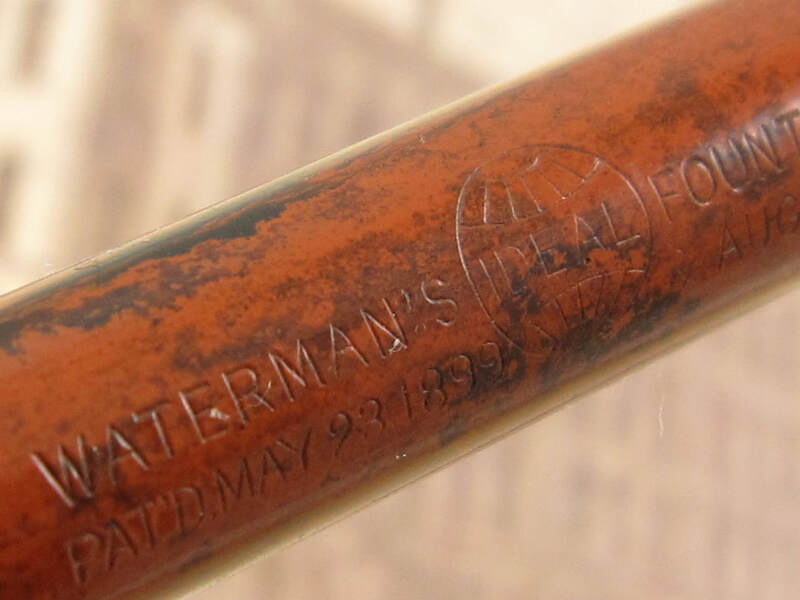 Like any other vintage Waterman "vest pocket pen", this pen was specifically designed to become a full size pen once posted. It also offers great balance on the hand when posted. Lever filler. New sac. Mechanical pencil uses the twist mechanism. It works and it is in great condition as well. Made in USA in 1920s. 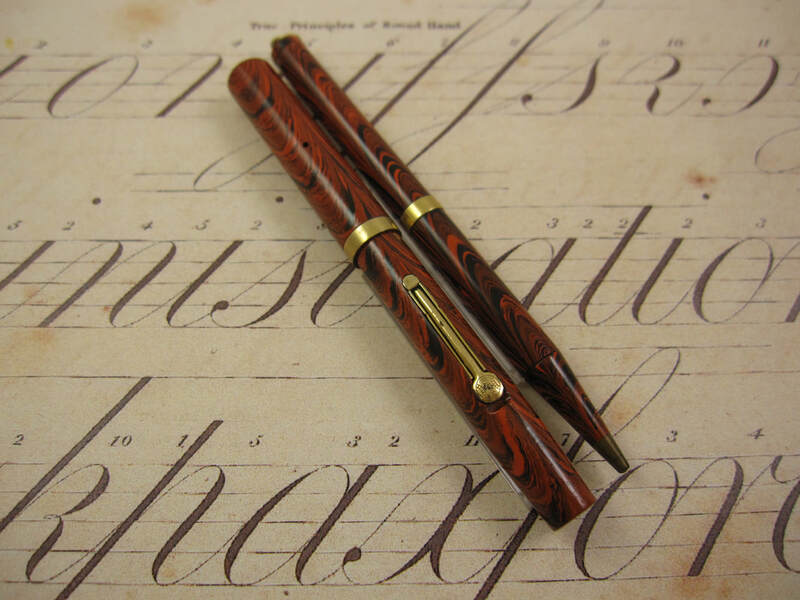 COMMENTS: Waterman 52 1/2V ring-top pen in wood grain ripple hard rubber and gold trim. Fitted with a 14k Waterman #2 medium flex nib that writes a fine to double broad line. Professionally adjusted nib. Ultra smooth, capable of writing at any speed when the nib is not flexed. 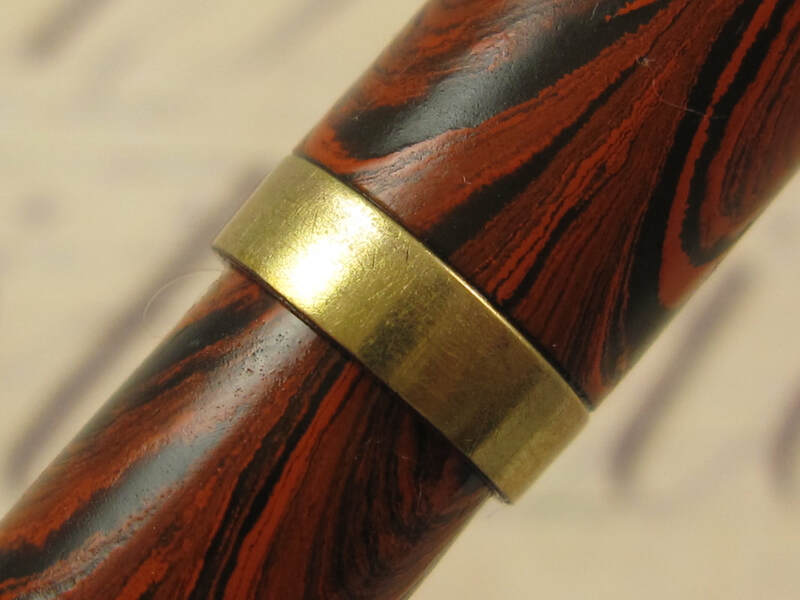 Very vibrant wood grain color with lots of luster. Correct wood grain hard rubber feed. Perfect barrel imprints. Lever box has signs of stress by the area where the lever pin pivots on the lever box. Otherwise, the gold trim is in great condition. Lever filler. New sac. Made in USA in the 1920s.